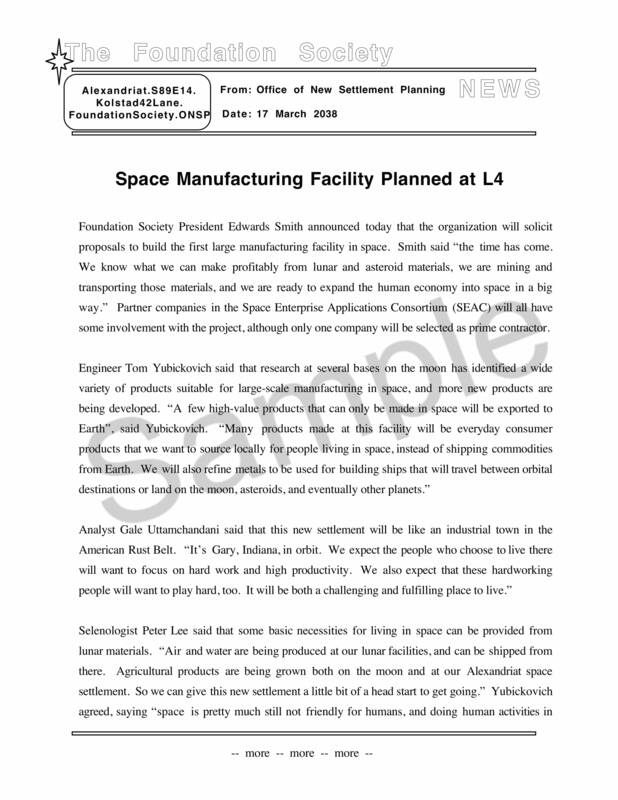 This document will describe the intended location and purpose of the settlement. It will describe the general points you will be expected to fulfill with your design as well providing some 'world building' context. 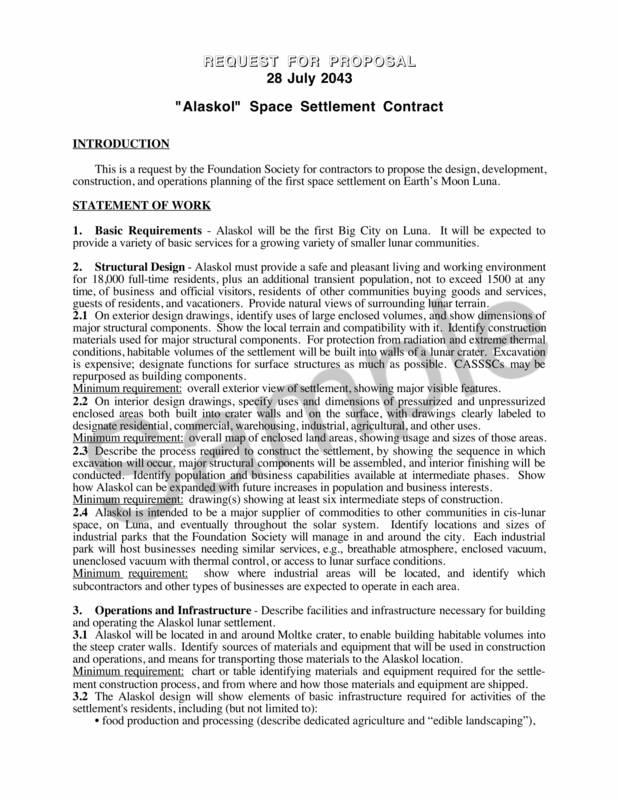 This document is the RFP and will find the details of all of the requirements that your settlement must meet. Fulfilling all of these points is your objective for the duration of the competition. The Foundation Society is an organization founded for the specific purpose of establishing settlements for its members in space.